Whatever your style is, Camso has the right track for you. It doesn't matter if you're a recreational snowmobile rider or a racer, whether you prefer groomed trails or backcountry exploration, whether you seek the adrenaline rush of steep terrain or the comfort of a casual cruise in the countryside. As riders, we share one thing: our passion for snow. 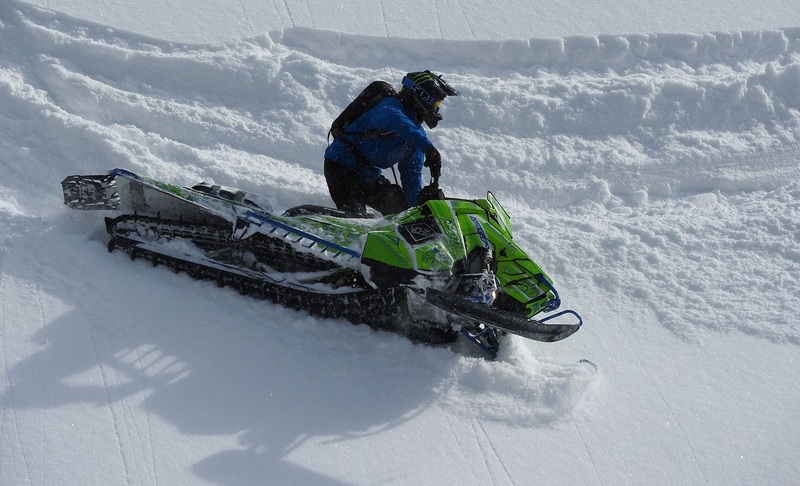 To get the maximum excitement out of your sled in the conditions you prefer, select the best track for the type of rider you are. Browse our product selector to find the conversion track system that suits your needs. These cookies do not store any personal data. They are necessary for the website to function and cannot be switched off in our systems. These cookies enable the website to remember your choices, provide enhanced functionality and personalization as well as allow us to count visits and traffic sources so we can measure and improve the performance of our site. They may be set by us or by third party providers whose services we have added to our pages. You can set your browser to block or alert you about these cookies, but some parts of the site may then not work properly. These cookies may be set through our site by our advertising partners and by certain social media services that we have added to the site. They allow you to share our content on certain social media services and track your browser across other sites and build up a profile of your interests. If you do not allow these cookies, you will experience less targeted advertising and you may not be able to use or see the social media sharing tools.